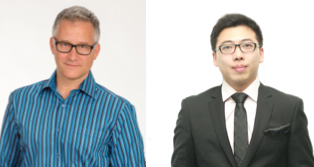 It gives me great pride and pleasure to be the first to announce that my good friends Scott Sommer and Long Wan, co-founders of L.A. and Beijing based Sparkstone Entertainment, have sealed a deal to develop and produce as many as five television series together with leading Chinese production company Croton Media. The agreement guarantees Sparkstone a production commitment of at least 150 episodes for both the domestic Chinese and international markets. In the short time since they founded Sparkstone in 2014, Scott and Long have set up deals, engaged and trained talent, raised financing commitments and developed new projects at a pace unmatched by any cross-Pacific entertainment company I’m aware of, including the major Hollywood studios. They are stand-up guys supported by stand-up advisors J. Todd Harris and Craig Berenson, and Croton Media is fortunate to have them as partners. Croton, along with its parent, Huace Film & TV, is the leading television content provider in China, controlling 15% of the overall marketplace. Recently Croton acquired the rights to the hit Sony Television series Mad About You, which the company is now developing for Chinese audiences. Sparkstone is incorporated in both the US and China with the goal of bridging Hollywood and Chinese talent and finance to create independent film and television opportunities in both countries. Aside from Croton Media, they hold development and overhead deals with such companies as HeYi Capital and mobile gaming company YouMi, and have offices in Beijing. The Croton deal culminates for Scott and Long a year of very hard work during which they’ve set up an organization that is truly unique in China. In a territory where the importance of creative development is too rarely acknowledged or even understood, they have made a big bet on their belief in story, and the bet has paid off. Keep on an eye on this group as they undoubtedly have many more successes to come. This entry was posted in General News and tagged Craig Berenson, Croton Media, Huace Film & TV, J. Todd Harris, Larry Gao, Long Wan, Rob Cain, Robert Cain, Scott Sommer, Sony Television, Sparkstone Entertainment by chinafilmbiz. Bookmark the permalink.